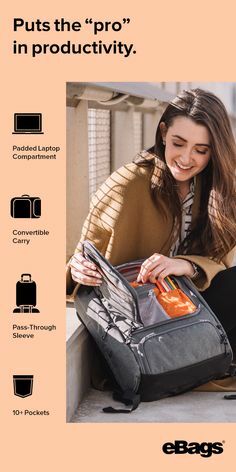 Home Tags Posts tagged with "how to pack"
I’ll start by saying that the very first thing I did when I got my eBags “welcome credit” was to buy a GIANT suitcase (this one, into which I could probably fit my 11-year-old daughter if I were that kind of parent). 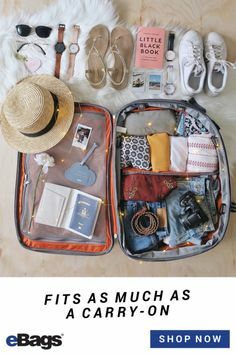 While I’m not one of those women who brings an entire suitcase just for my shoes, I do intentionally overpack just a bit so I can have lots of outfit choices—and I also like to have extra room in my bag in the (very) likely event that I buy something while on holiday. 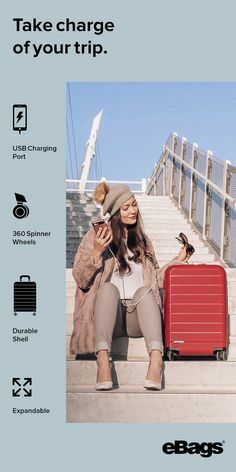 So when I was given the opportunity to test-drive the gorgeous new Antler Atom on a trip to Cape May, New Jersey, for a wedding, I *never* thought I’d be able to get four days’ worth of stuff into a smaller-than-regulation carry-on. Never! Especially not wedding weekend stuff! But I also love a challenge, so I decided to go for it. Here’s what I brought, and how I did it. With interior dimensions of 19″ x 15″ x 8″, the Atom Four-Wheeled Carry-On is on the petite side, even for a carry-on. I worried not only about having room for everything I needed to bring but also about my party dress and special-event tops getting rumpled in such a small space. 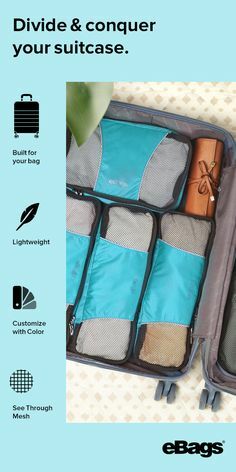 For the cargo issues, I enlisted a few of our Ultralight Packing Cubes: one large and two small. While they’re *technically* not compression packs, with some creative folding, the cubes enabled me to get about 20% more into my suitcase while also keeping everything uber-organized. 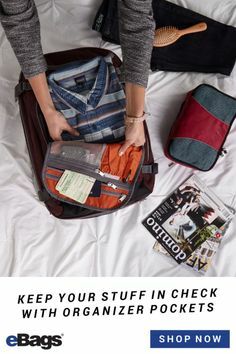 EXPERT TIP: To use the inside pocket of a hard-sided bag as an ad-hoc garment bag, fold nicer items over just once, then smooth out any wrinkles before zipping shut. The trick here is to make sure you have enough items in this area to prevent clothing from slipping around and getting crushed into a corner. Also: even though my bag would most likely be under my watchful eye the entire trip, I still played it safe by trading my typical scrawled-at-the-counter paper tag with an eBags Connected Luggage Tag. 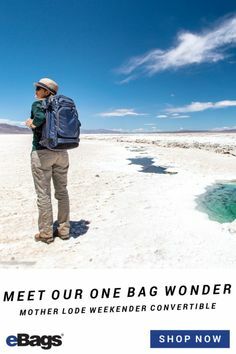 These app-enabled life-savers store your contact information in the cloud, making it easier than ever to reunite you with any bags that may attempt to see the sights without you. Trust me: it’s literally the best five bucks you’ll ever spend. In addition to pairing perfectly with the metallic finish of the Atom Carry-On (bonus! ), my La Diva Lola Tote was completely on-point for this kind of trip. 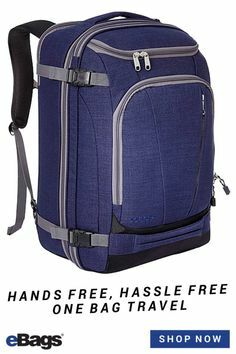 This mid-sized tote comes with a floating, removable lining with zippered pockets and a phone sleeve—which is great for in-town use, but which I found a little small for air travel. After removing the liner, my tote had just enough room for all of my in-flight essentials: wallet, water bottle, book, earbuds and (since I was carrying on) my quart-sized Ziploc of liquids. EXPERT TIP: A cute zippered pouch can contain all of those little 3.4-ounce bottles while providing an extra layer of protection against unexpected shampoo explosions. An unexpected benefit of having to keep one’s liquids handy for inspection: SO much room in my TUMI Voyageur Monaco Toiletry Kit! This enabled me to bring ALL THE FANCY LIPSTICKS and other cosmetics which I wouldn’t normally have the room (or the inclination) to bring. Extra bonus: since most hard-sides only have one interior pocket, I used the large TUMI Voyageur Pouch to contain my hair-styling tools. EXPERT TIP: Even if you have a signature scent at home, vacay is a great time to test-drive one of those little fragrance samples you’ve been saving for a situation JUST like this. It’s not, however, a good time to try new skincare products, sample-sized or otherwise—you don’t want to risk a reaction while you’re out of town. Beach wedding + pier reception = loads of unforgettable photo-ops, with very few ways to charge a dying phone. I hacked this problem by bringing along the HButler Mighty Purse Wristlet, which holds up to two charges for most smartphones, PLUS a few credit cards and a couple of the aforementioned fancy lipsticks. EXPERT TIP: To minimize my travel gear while maximizing Cape May’s spectacular scenery, I also brought along an Olloclip Active Lens; this genius little clip-on gave my iPhone SLR-ish capabilities without lugging a camera bag around the whole weekend. See sunset pic for proof! Incredibly, I was able to fit three days’ and two nights’ worth of outfits into my sleek little suitcase and still have room for a couple of clothing “souvenirs” on the return trip! Yay! I was even able to bring along a soundtrack for my getting-ready time—the Bose SoundLink(R) Color Bluetooth(R) Speaker fit neatly into a small packing cube when wrapped in a few soft tank tops. 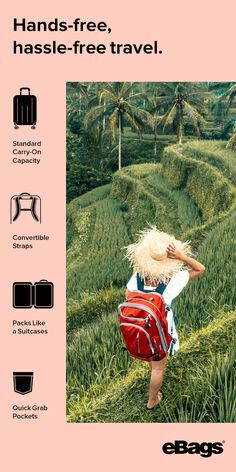 It helped that I am the kind of girl who can make do with three pairs of flat sandals, which don’t take up much room, and that I carried my straw hat on the plane. I also had to sacrifice a couple of things I’d normally bring, including workout clothes and sneakers. If you’re really keen to exercise HARD on holiday, simply wear your running shoes on the plane and swap your workout clothes for that extra pair of jeans. Or you *could* just take an extra walk on the beach…just sayin’.